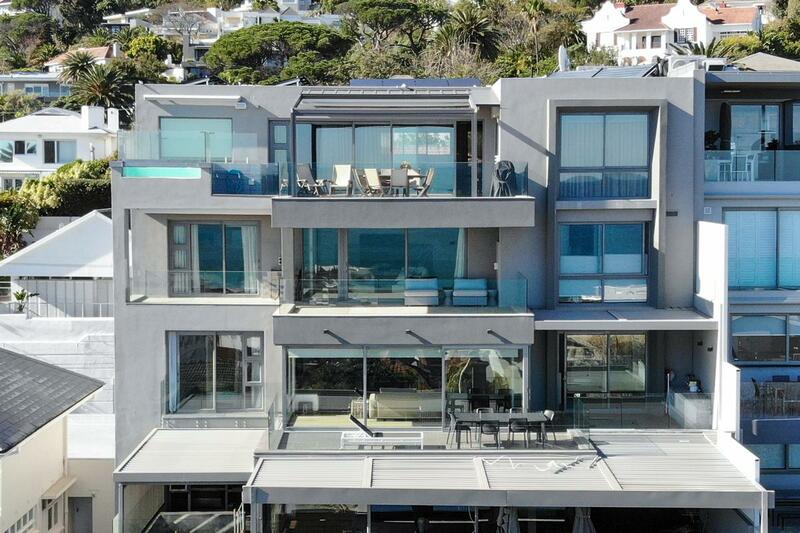 Bantry Bay is an area of Capetown, South Africa that overlooks the ocean. Today’s home is a double-story penthouse in a block of two apartments. 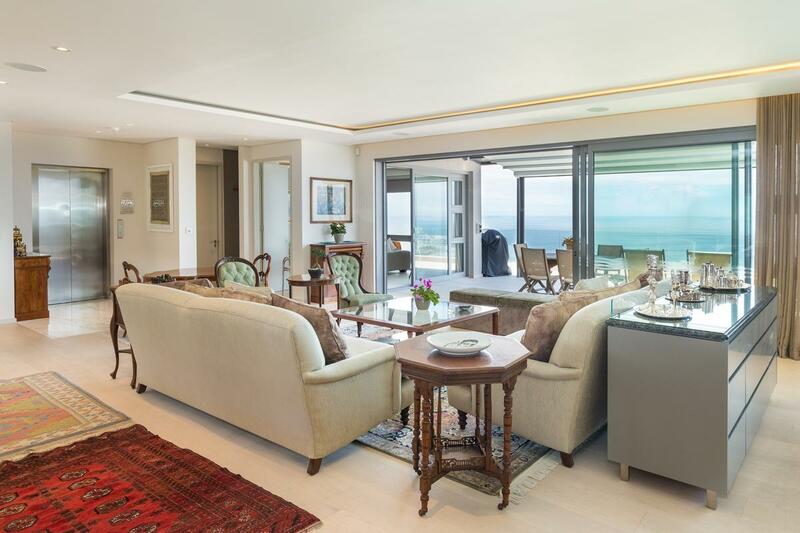 This home offers jaw-dropping 360-degree sea and mountain views across Bantry Bay Rocks and the slopes of Signal Hill and Lions Head. 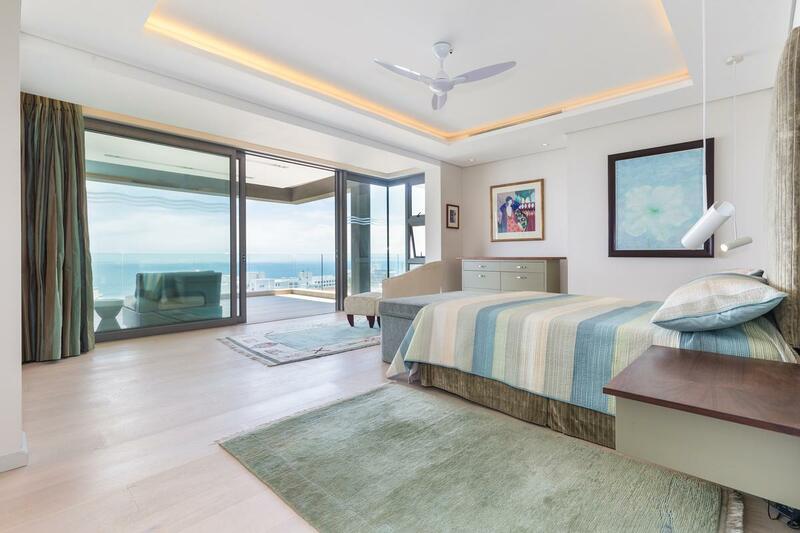 A direct access, card controlled private elevator to this designer masterpiece. 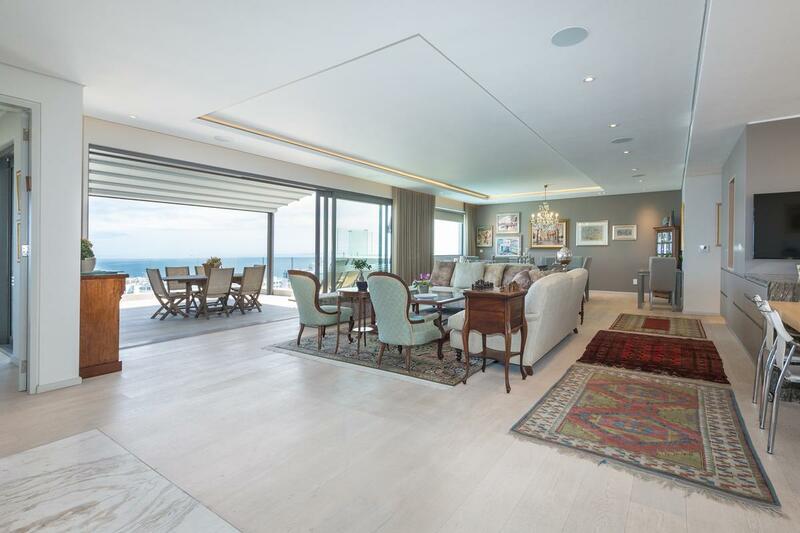 An open plan lounge, dining room, and dream kitchen flow seamlessly to an expansive terrace with a pool. A family room and guest bathroom complete the living spaces. 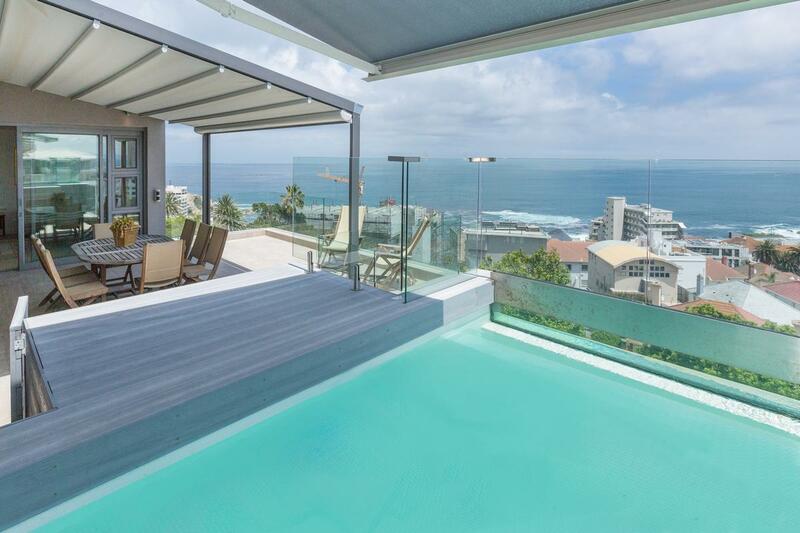 The lower level has three bedroom suites flowing to a second expansive terrace. The lower level includes a lounge and study nook. The home also comes with three garage spaces. 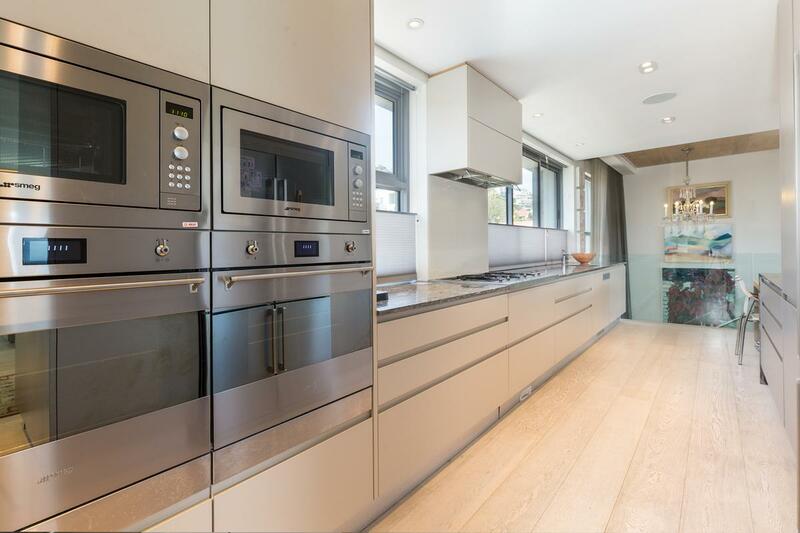 The kitchen includes two eye level ovens and two built in microwaves in a sleek and minimalist space with plenty of counters. 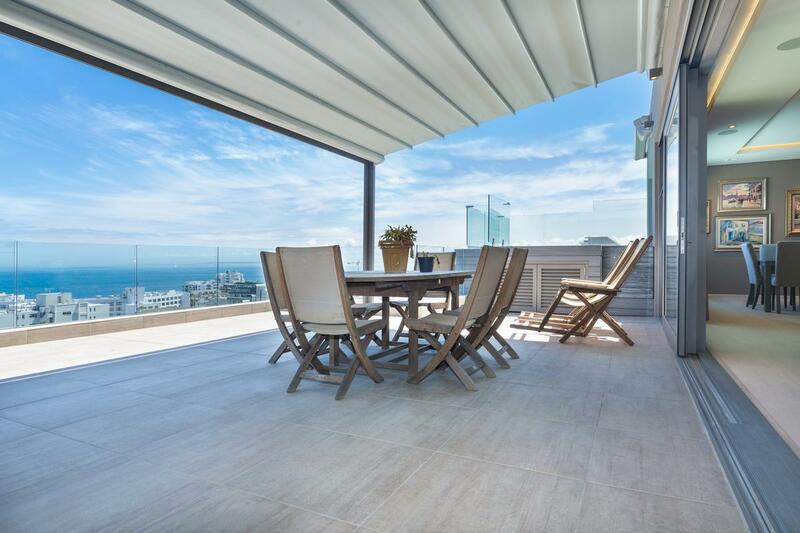 This spectacular property is listed for $3.1 million with Jawitz Properties, an affiliate of Luxury Portfolio International®.